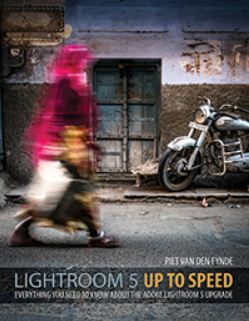 Hot off the press after the general release of Lightroom 5 from Adobe, Craft & Vision have released a 77-page eBook complete with companion videos, by Piet Van Den Eynde, claiming to provide Everything You Need to Know About the Adobe Lightroom 5 Upgrade. This seems like super quick work from Craft & Vision, but as Piet lets on within his introduction, it’s largely based on the Lightroom 5 beta version. As we know now the official pukkah release is pretty much the same as the beta version with the bugs straightened out. Priced at a very reasonable $5 (around £3.20) and cheaper than a monthly photo periodical, I thought this worth a punt to see whether I’d glean any hidden gems within Lightroom 5. I was delighted to find 4 of my images are featured in the 4×4 portfolio section of the Issue 55 of the web based OnLandscape magazine. The 4×4 Portfolios feature four images selected on a “theme of some sort; that hang together in a creative way”. I chose 4 images from my visit to Jökulsárla beach at Jökulsárlón in Iceland last year, where I spent quite a while photographing ice fragments swirling around amongst the shallow waves of the foreshore of the black volcanic beach. If you browse any book about “icons of photography“, from photography’s inception to the current day, you’ll be hard pressed to find any mention of pure landscape photographers. It seems such a sad state of affairs that photographs of our beautiful and amazing planet are held in such low esteem by the so called photographic hierarchy. The one exception of course is Ansel Adams. I felt a tad reluctant to write another post about Craft & Vision so soon but this is worthy of a mention. They have announced a quarterly magazine called Photograph and Issue One is available for purchase from their website now. It’s a little different from you’d normally expect from a magazine as it’s purely a PDF download and without any advertisements. If you’ve previously bought any of the Craft&Vision eBooks before then you’ll be in familiar territory as it continues pretty much in the same contemporary and classy style. There is a new eBook offering from Craft & Vision entitled Essential Development – 20 Great Techniques for Lightroom 4. It’s also by a new author to the Craft & Vision stable, Seán McCormack, who many may recognise from the Adobe Lightroom forums and for his regular Lightroom Blog at Pixeq. Seán has been involved with Lightroom since the early beta versions where his forum activity of attracted the attention of Adobe. He was subsequently invited to become a Lightroom beta tester and has been involved with all Lightroom editions since. Thus he has a well established pedigree as an authority on Lightroom. If you’re not familiar with the term eBook than you must have been on another planet or stranded on a desert island for some considerable time. eBooks seem to have taken the publishing world (is that even the right term now?) by storm. 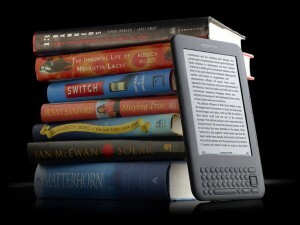 From the Amazon Kindle to the Apple iPad, the world of books and publishing has now changed beyond recognition. Love’em or hate’m eBooks are here to stay. EBooks aren’t really anything radically new, as the hypertext editing system and electronic documents have been in existence since the 1960’s but didn’t proliferate until the birth of the world wide web and then not in the form that we know now. Even electronic book readers have been around since 1998, but these early devices failed to capture the imagination on an unsuspecting public. It wasn’t until 2009 when Amazon released their first Kindle and the Sony e-reader emerged that eBooks seemed to provide a serious alternative to the paper varieties. It’s always nice to get some recognition when you are a photographer, especially as an amateur like myself, so it was with great pleasure that I found out that one of my pictures had been selected for the cover page of August-September edition of The Eye Magazine. The Eye is a free bi-monthly magazine published in Uganda where I have been working and is an insiders guide to touring and travel in Uganda. You can generally find free copies in all the major hotels and on the major airlines travelling there, so it has quite an extensive circulation within the country. Many of you who read my blog may not know but I’ve been employed within the oil industry most of my life. This has included a substantial amount of time working on drilling rigs both offshore and onshore. Many of my photographic opportunities then, have been in and around the drilling locations where I have worked in, and through time I’ve amassed a fair collection of industrial related photographs too. One of these pictures has been used for a book cover that has just been published. The book is entitled Drilling Int Success which is by Robert Combden. Robert hails from North-eastern, Newfoundland and who like me, has spent most of his life working on drilling rigs. The book details his life as a rig hand and contains anecdotal tales and stories of his life within the oil patch and is written to bring a fuller understanding of the processes of drilling a well and what life is really like on an oil rig. Robert’s book is available in Chapters, Coles and Indigo stores in Edmonton, Alberta, and Costo, Chapters and Coles in St. John’s, Newfoundland. As for the picture, well it’s quite an old one, being of late 2004 vintage and around the start of my rekindled interest in serious photography. It was taken with a Konica Minolta DiMAGE A2, which some may remember as an 8 megapixel, fixed lens, bridge camera. It had a 7 times optical zoom lens with the equivalent of a 28-200mm focal length, an electronic viewfinder and a fold-out rear 1.8-inch rear LCD screen. 8 megapixels was a pretty formidable specification back then, but these days you can get that on a phone. Never-the-less I got achieved some pleasing images with the A2 at the time, although the files were pretty noisy by today’s standards. It wasn’t long however, before I was smitten by the lure of a Canon 20D and even that seems somewhat old fashioned now. I’ve now posted some images from my trip to Antarctica, in January 2014. These can be found in the Antarctica II Gallery. This features a new FLICKR style image grid gallery which I really like.